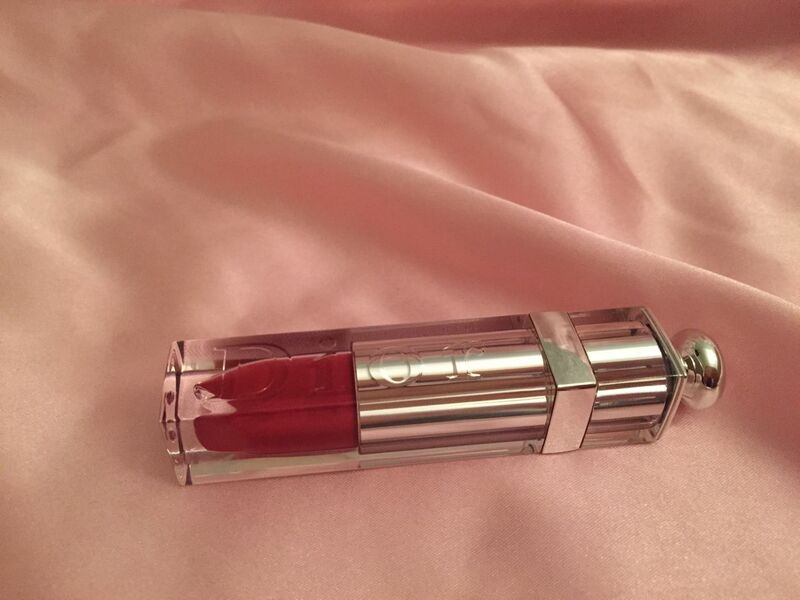 I was really excited when this product first came on the market: Dior has been advertising it for a long time and the whole concept sounded awesome and intriguing. This lipstick was supposed to be three in one: lipstick, lip gloss and stain. Once it became available, I bought it. It was a bit hard to pick a color because practically all colors in this Dior line are extremely bright – a bit too bright for my taste. To be fair, the description of this fluid stick does talk about “maximum color” and “sensational color payout”, and I should have paid attention to it. The thing is that I expected colors to be rich and deep but not that painfully bright. Also keep in mind that on the website (both Sephora and Nordstrom, at least) colors look more toned down than in reality. So, before purchasing this lipstick I would strongly recommend going to the store and trying it first. I got this baby in Vertigo, which looked like classy deep pink. 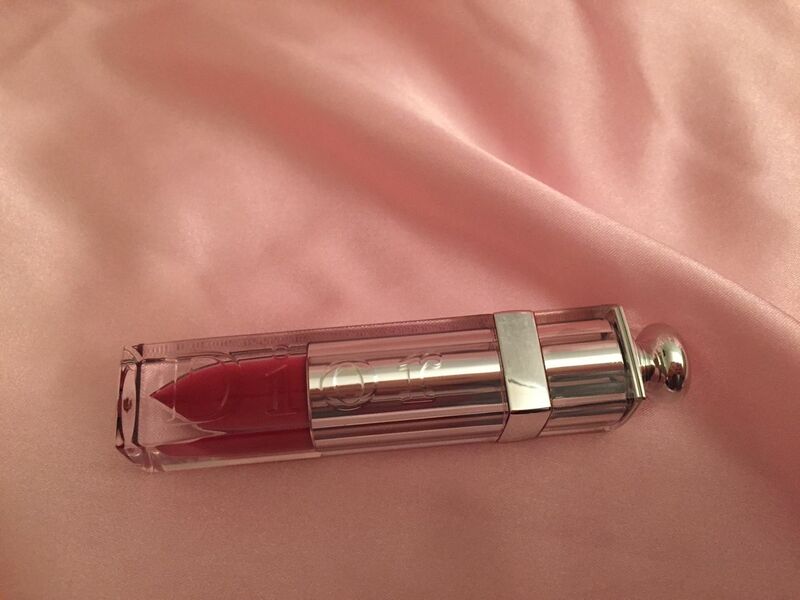 Packaging is very nice – at the first glance it looks like a lip gloss tube but if you turn it upside down, it looks like there is a lipstick inside. 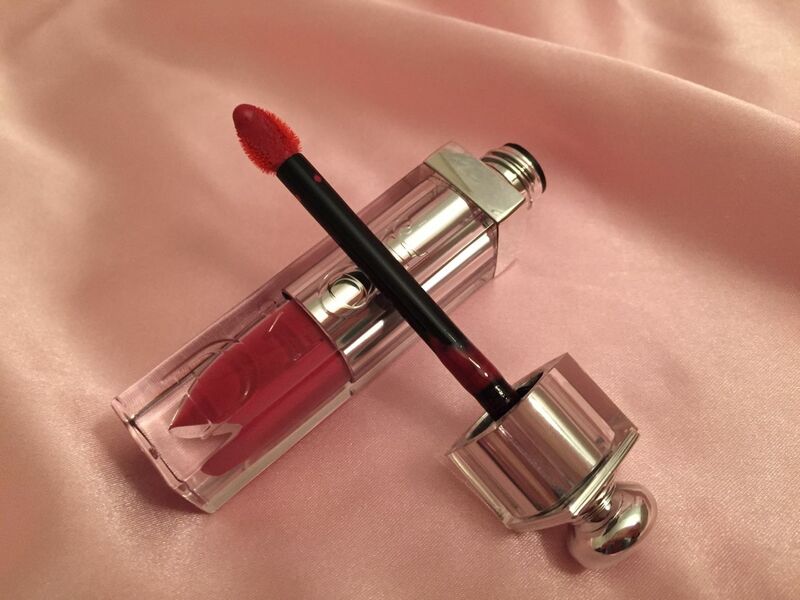 It is an optical illusion – it is really a fluid inside but the tube is shaped in such a way that fluid looks like a lipstick. My first issues started with a brush. It is very inconvenient to use. A bit too big for this type of product – it is really hard to stay within the lip line when applying the fluid with it, and it also is very ticklish. I know, it sounds crazy but it’s true! 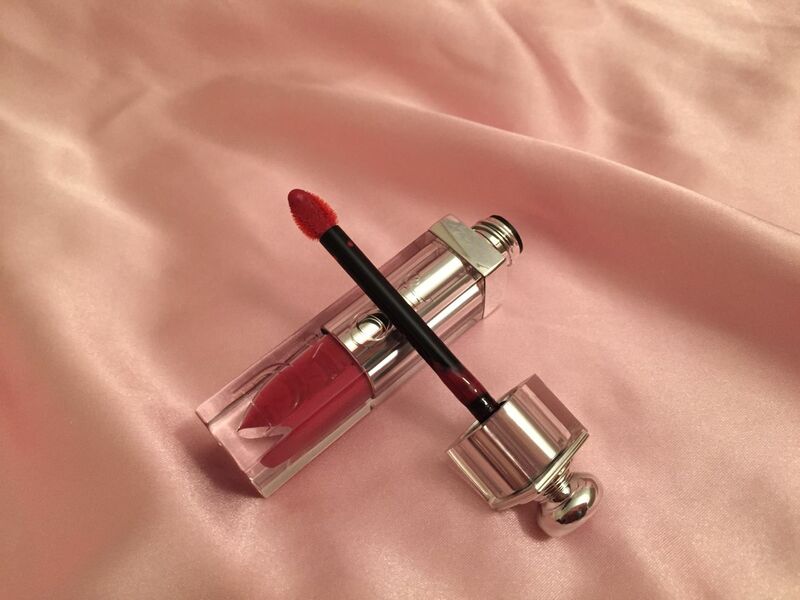 The second issue is that it is a bit hard to apply this gloss-lipstick-stain evenly. The color doesn’t come off the brush evenly and, as I said, it is easy to go beyond the lip line with it. I think the problem behind it is that it truly is a combination of lip gloss, stain and lipstick. On one hand, you get benefits of all three like staying power and pigmentation along with shiny gloss. On the other hand, you also get weaknesses of all three. Because of the high pigmentation, you have to be very careful with how much color you put on. At the same time, because of the lip gloss fluid texture it is much harder to control how much color you applied. Finally, since it’s a stain, it is a bit drying. I recommend using a lip balm under it. 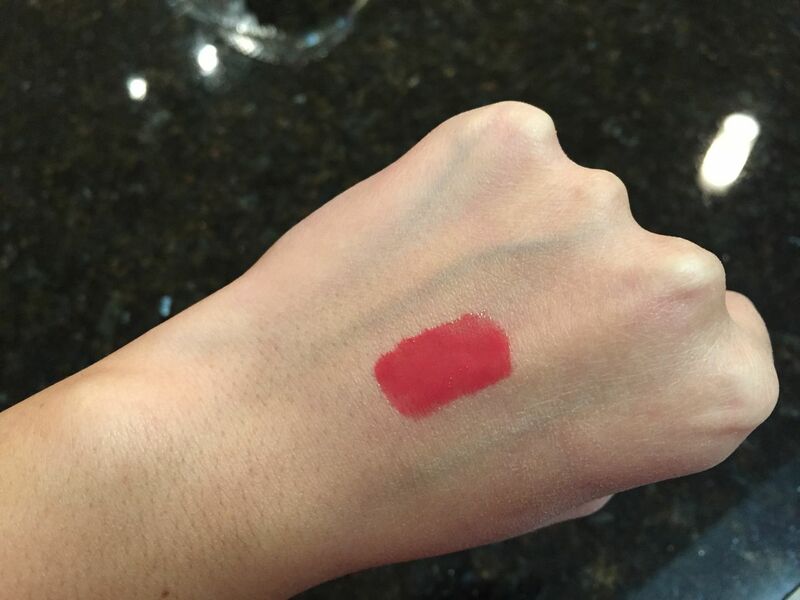 Don’t use the one that’s too creamy – then the fluid stick will sort of go over it and will not saturate the lips, so the color may be more easily smeared. Best of all, use lip balm overnight and mild lip scrub in the morning (I use Fresh Sugar lip scrub). The balm will moisturize your lips and the scrub will peel off dead particles. With the fluid stick you have to do it since it will reveal slightest imperfection of your lips. The texture of the fluid stick is funky too: I feel like I am wearing fresh nail polish on my lips. It’s not a bad feeling necessarily but certainly not the most comfortable one since I am so afraid to smudge it I can’t even lick my lips. The color payoff is amazing though. If you are looking for super bright and dramatic lips – go with this fluid stick. For me it’s so bright I don’t even know what kind of eye makeup to do to match it. Also it kind of requires you to have a full makeup – unless you naturally have striking facial features like very pale skin, or big blue eyes, or nice and thick black eyebrows. My facial features are not that vibrant so bright pink lips stand out a bit too much unless I also have some mascara on my eyelashes and eyeliner on the eyelids. So, conclusion: I am not quite sure if I would recommend this product. It’s definitely not of those lipsticks which you can apply when in hurry and without looking in the mirror and still look amazing. Yet it is pretty unique if you are looking for a highly saturated and pigmented color – in that case, it’s a great product and you should be happy using it. 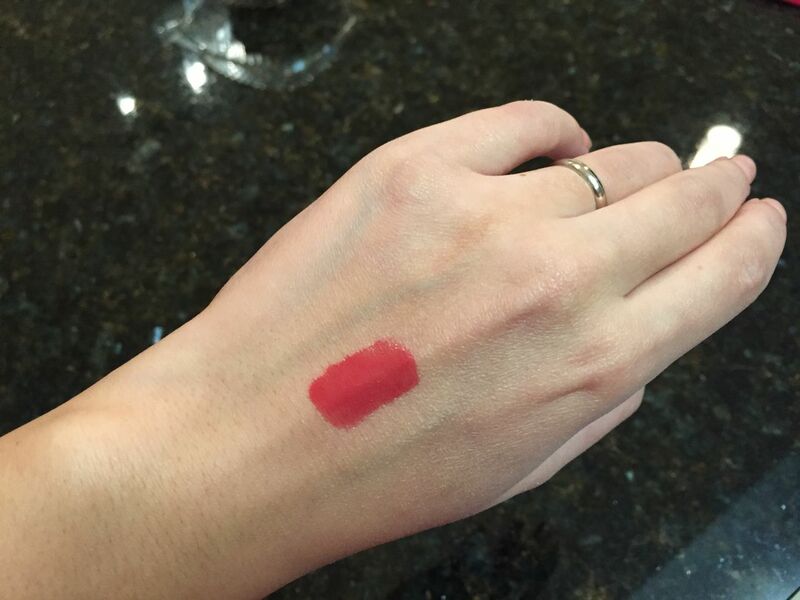 As for me, I am not using much of my fluid stick in Vertigo, however, I might still buy this thing in Kiss Me (everyday natural pink) or Vie D’Enfer (dark rich bordeaux red).